I am releasing today version 1.6, the second update for Google Summer of Code 2015. The main objective of this update was to add map import and export. 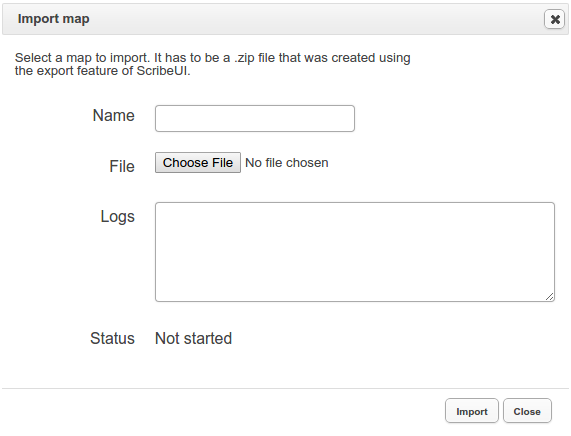 Pressing on Export will generate a .zip file containing the map files. You can use it as a way to backup your maps or to share them with other users. 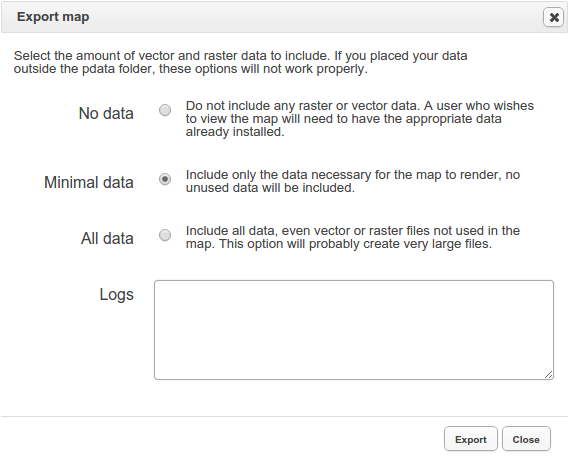 You can choose a name for the map to be imported, select a .zip file and press import. While the file is uploading, the logs won’t update and the status will stay on “In progress”. It can take a long time if the map is large or if your connection is slow. Once the process is complete, you will see the map in the manager view. sudo chown -R youruser . The last month of this summer will be spent on the data classifying feature. The goal is to provide a way to create a range of classes with different colors from a set of data. You can find more information about the summer’s plan here.